Configura, maker of CET Designer software, announces that the Norwegian company Vind to join Configura as a long-term co-owner. The funding from Vind will enable an acceleration in further development of Configura's CET platform. “We have been looking for the right investor who shares our vision and beliefs and is ready to stay onboard for the long-term. We are happy to announce that the Norwegian industrial owner company Vind joins Configura as a co-owner,” said Configura’s CEO Johan Lyreborn. Vind is a very long-term oriented owner in private and public businesses within software, life science and other sectors. Vind joins current shareholders Johan Lyreborn, Göran Rydqvist, Sune Rydqvist, Johan Bengtsson and Niels Madsen as a co-owner of Configura. Harald Høegh, the CEO of Vind, is joining the board of Configura. 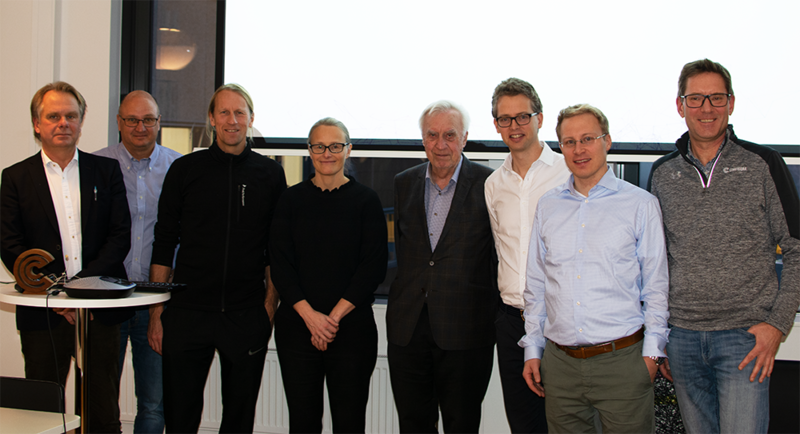 There is an ongoing process to further select a new external Chairman of the board to replace Sune Rydqvist who is planning to retire after 28 years of service. Configura’s main software, CET Designer, helps manufacturers and their distribution networks by providing a single software solution for the entire design, sales and order process. Manufacturers partner with Configura to create CET Designer Extensions that enable selling products fast, easily and extremely accurately. “We are excited about welcoming Vind to Configura and look forward to seeing how this investment will take our journey to new heights,” said Lyreborn.